Here each Thursday evening, in the Twin Cities Gateway community of Blaine, at the National Sports Center Velodrome the ladies have some fun out on the track in between several men’s races. The Gateway Area, just north of downtown Minneapolis, offers several lodging opportunities and attractions for visitors to the Twin Cities, year-round. 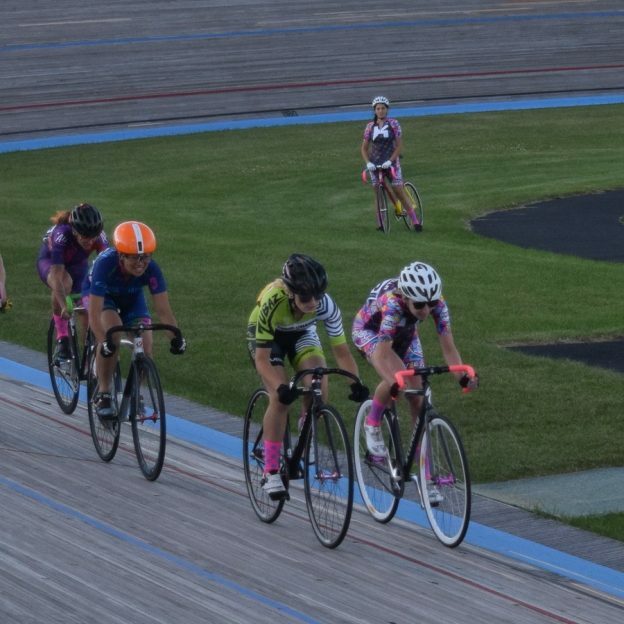 This entry was posted in Picture of the Day and tagged #findyournext adventure, #onlyinMN, Blaine, National Sports Center, track races, Twin Cities Gateway, Velodrome on June 28, 2016 by Russ Lowthian.